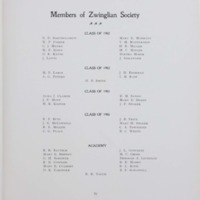 A list of the members of the 1903 Zwinglian Literary Society. 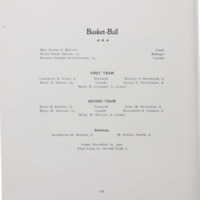 The members are organized by class year with the academy students also included. 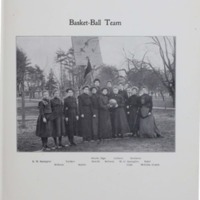 A photograph of the members of the women's basket-ball team. A list of the members of the first and second team, the substitutes, and the mangers of the team. 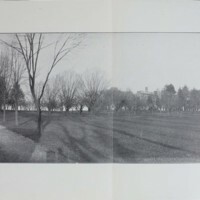 A photography that shows what campus looked like in 1903, the most notable buildings are Olevian Hall, Freeland Hall, and Bomberger. 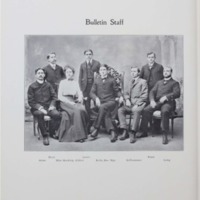 A photography and the names of the bulletin staff. 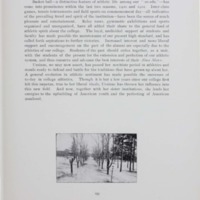 The bulletin was the name of the Ursinus newspaper at the time. 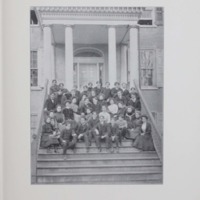 A photography of the students of the Ursinus Academy in 1903. 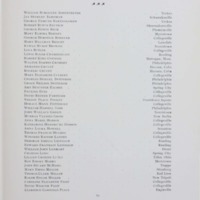 A two page list of all of the students enrolled in the Ursinus Academy. 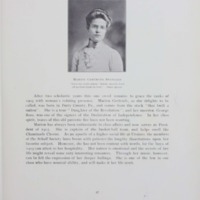 Biography of junior, Marion Gertrude Spangler.